This assembly video can be used to assemble the NCW2280, NAW2280, NAC2280, and the NCC2280. Begin by attaching the left side frame and the front left leg to the left side of the seat using (4) 2" screws. While tightening screws on the underside of this assembly, you can use the provided 4mm hex key. For quicker assembly you can use a drill and 4mm hex bit in conjunction with a right angle drive attachment or a flexible extension. Repeat this step to attach the right side frame and the front right leg to the right side of the seat. Attach all braces in between the legs using 2 1/2" screws as shown. Please note that the brace with the Polywood medallion should be attached to the back legs of the side frames as shown. Secure the back piece of the side frames using (2) 2" screws. Next, attach the adjustable back bar to the back piece using (2) 1 1/2" flat tipped screws. Make sure the screws are not over-tightened during this step. If you have any questions or need any additional support, please feel free to contact us. 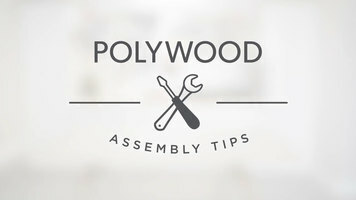 A step-by-step guide on assembling your Polywood 2280 Nautical chaise lounge. 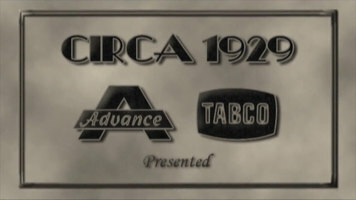 At its beginning, Advance Tabco offered a small variety of equipment, including handsinks, work tables, and dish tables. Since then, the equipment and ordering process have evolved with technology, resulting in new and innovative ways that customers can select, create, and customize equipment. Find out more about how Smart Fabrication puts the control of fabrication in your hands - and right at your fingertips! 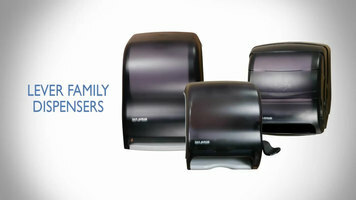 Inhibit the spreading of germs in your establishment with this San Jamar lever towel dispenser. Its simple, ergonomic design and sanitary protection will help keep your staff and guests healthy while also minimizing waste.